This course will introduce the learners to the steps necessary for the formation of a subdivision. This course provides two continuing education hours for Realtors. Tennessee Realtors who may encounter properties requiring dividing. This course is divided into 2 modules. Each module is comprised of individual lessons conveying information required for subsequent lessons. Field client questions regarding dividing property and either answer them or direct them to the appropriate authority. Preliminary determine if a client may divide a specific tract of land. Module 1: The Basics The leaners should be able to describe the subdivision process, discuss with the client their wants and needs regarding the property, and work with the client to determine options for the division of the land. Lesson 1: Nomenclature The participants should be able to:· Define terms relative to subdivisions.· Describe limitations or restrictions common among regulations. Lesson 2: Talking with Clients The participants should be able to discuss the desires of the client while emphasizing limitations of the land. Lesson 3: Looking at the Land The participants should be able to:· Access state or local GIS to determine if a property is suitable for division.· Formulate options to divide the property with the client. Module 2: The Surveyor’s Side Learners should be able to describe how a surveyor divides property and subsequently gets that division recorded at the Register of Deeds office. Lesson 1: Field Work The learners should be able to explain the process employed by a land surveyor to survey and divide property. Lesson 2: The Approval Process The learners should be able to describe the process of submitting and gaining planning commission approval of a subdivision. Total duration for the Elevation Certificate for Realtors course is 2 hours (100 minutes of instruction with 20 minutes of breaks). Module Objective: The leaners should be able to describe the subdivision process, discuss with the client their wants and needs regarding the property, and work with the client to determine options for the division of the land. Lesson Objective: The participants should be able to define terms relative to subdivisions and describe limitations or restrictions common among regulations. 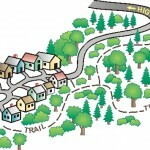 Given visual aids/handouts, ask students to identify the different aspects of a subdivision. Lesson Objective: The participants should be able to discuss the desires of the client while emphasizing limitations of the land. Have students engage with fellow students to determine how each other would like divide their properties. 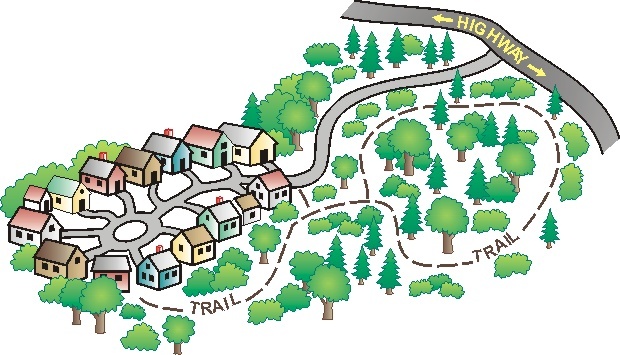 Lesson Objective: The participants should be able to access state or local GIS to determine if a property is suitable for division and formulate options to divide the property with the client. Topic 1: Conversation The participants should be able to:· Access state or local GIS to determine if a property is suitable for division.· Formulate options to divide the property with the client. Explain:· Demonstrate how to view property on a GIS.· Discuss the variables that affect a division.· Demonstrate how to determine options for dividing land. Have students develop rough designs for a particular parcel of land. Module Objective: Learners should be able to describe how a surveyor divides property and subsequently gets that division recorded at the Register of Deeds office. Lesson Objective: The learners should be able to explain the process employed by a land surveyor to survey and divide property. Ask leaners to explain how a surveyor might go about developing a particular parcel of land. Lesson Objective: The learners should be able to describe the process of submitting and gaining planning commission approval of a subdivision. Topic 1: The learners should be able to describe the process of submitting and gaining planning commission approval of a subdivision. Explain:Discuss the process of approval – from preliminary to final recorded plat – required by various planning commissions.Activity:Have learners explain what steps various maps may require for planning approval.